THE OCEAN AT THE END OF THE LANE: See You Next Year, Spring! See You Next Year, Spring! There has always been something magical about spring; it's probably the vibrant colors and the way flowers seem to appear out of nowhere. I've discovered the game UNO. I played it against myself AND I WON both times!!! It was actually really fun and it worked because I couldn't remember what cards I had in any of my two piles. 1. 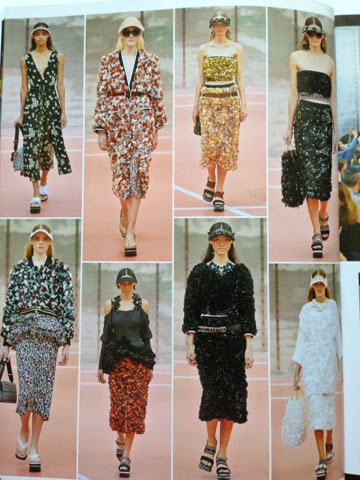 Marni's Spring 2014 Runway- it was mostly inspired by floral prints and so pretty! Click to the last 10 looks or so- they are the absolute best and some of my favorite pieces of the year! 2. Vogue Daily posted this about floral crows. ANYWAY, here are some pictures I took that really inspired me because of the colors.I love how flowers are so easy yet difficult to photograph! Below that I have some pictures of florals in fashion that I LOVED! I know that the picture isn't completely clear, so I think you should just click through Vogue's shots- I have the link above the photos of flowers. These are my favorite pieces, and they're at the end of the slides how that Vogue has. What is your favorite brand with a collection inspired by spring and florals? Great pictures, although I must say I prefere summer!